Avril Kinsey has studied with internationally renowned performers and teachers, including Narciso Yepes, Ernesto Bitetti, Carlos Bonell, and Christopher Parkening. She received her Masters of Music degree from the University of Cape Town with distinction, and is the recipient of numerous awards including the Jules Kramer Fine Arts and Music Scholarship, the KW Johnstone Research Bursary and the Adcock Ingram Classical Guitar Competition First Prize. Her performing career has taken her to Singapore, Malaysia, Portugal, Spain, Holland, Belgium, Austria, Germany, Denmark, England, Scotland, North America and Greece, many of which led to numerous live radio and television broadcasts. In 1988 she made her orchestral debut with the National Symphony Orchestra performing Rodrigo's Concierto de Aranjuez under the baton of Garcia Asensio. Performing with the Cape Town Philharmonic Orchestra in 1996 she accompanied Luciano Pavarotti during the Cape Town visit of his world tour. Kinsey has composed over 25 works for, and including, the classical guitar. Most have been published by Art Music Editions and many recorded on the Art Music label. Her works have been featured in television documentaries and radio programs (SABC TV, BBC Radio & TV, Austrian Radio) and KPFK Radio in the USA. Her works include bird calls and sounds of ethnic instruments. Kinsey is the author of two music books Guitar Music from Africa and Guitar on Safari and the performer on 5 CDs. 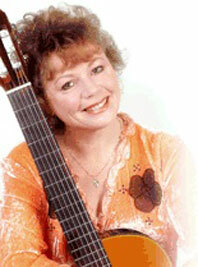 Her writings and articles have also been published internationally in Classical Guitar (UK). She is the founding director of the Cape Town Academy of Music and the Cape Town International Guitar Festival.